How I changed a wall into a forest ! I love cosplay but I also enjoy photoshop editing a lot ! 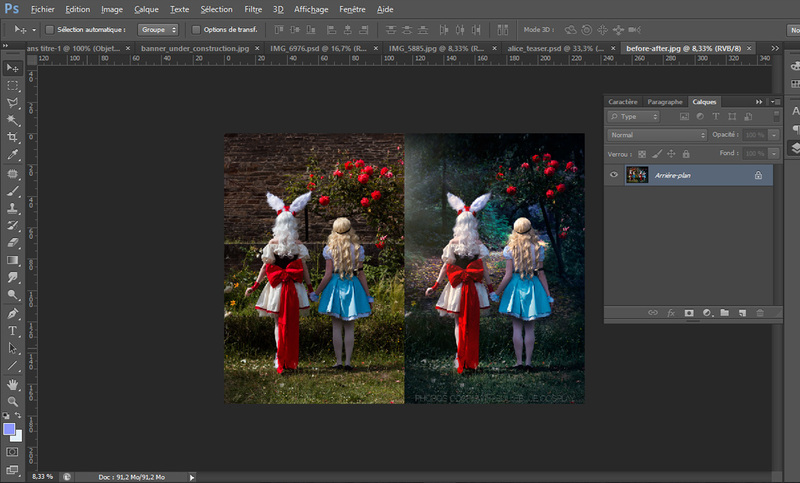 Here’s what I did with one of the pictures from our Alice & The White rabbit photoshoot. I hope you’ll like it ! Taking photos of your cosplays without professionnal equipment ! How to install your home studio. © 2017 Bulleblue Cosplay - Unless otherwise stated, all contents within this website are the property of Bulleblue Cosplay. Other contents are the property of their respective owners ans used with permission. This work is licensed under a Creative Commons Attribution-NonCommercial-NoDerivatives 4.0 International License .